"Pilot" - L.A. district attorney Maya Travis suffers a devastating defeat after prosecuting an A-list movie star for double murder. With her high-profile career derailed, she flees for a quieter life in rural Washington. 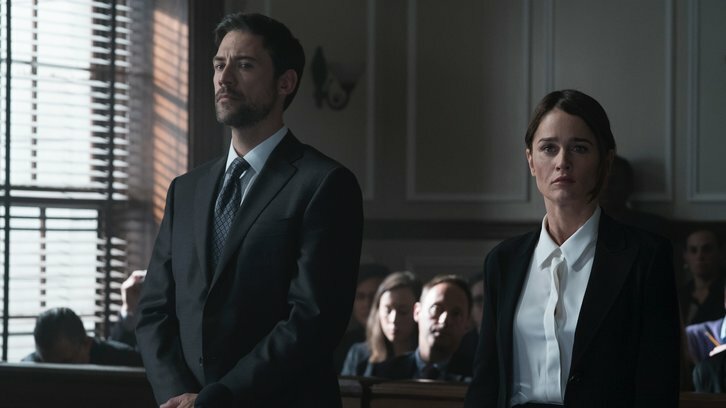 Eight years later, when this same star is under suspicion for another murder, Maya is lured back to the DA's office for another chance at justice on the series premiere of "The Fix," MONDAY, MARCH 18 (8:00-9:01 p.m. EDT), on The ABC Television Network, streaming and on demand. "The Fix" stars Robin Tunney as Maya Travis, Adewale Akinnuoye-Agbaje as Severen "Sevvy" Johnson, Scott Cohen as Ezra Wolf, Adam Rayner as Matthew Collier, Merrin Dungey as CJ Emerson, Breckin Meyer as Alan Wiest, Marc Blucas as River "Riv" Allgood, Mouzam Makkar as Loni Kampoor and Alex Saxon as Gabe Johnson. Guest starring is Robin Givens as Julianne Johnson, Daniella Alonso as Effy, Christopher Curry as John Meyer, Chasten Harmon as Star Johnson, Robbie Jones as Detective Vincent North, Taylor Kalupa as Jessica Meyer, Julian Acosta as Detective Diego Ramon and Abraham Lim as Ares Ahn. "Pilot" was written by Marcia Clark, Elizabeth Craft and Sarah Fain, and directed by Larysa Kondracki.